Conflicts of interest between outside organisations and your firm can be avoided with our Private Investment product, enabling you to monitor employee activity related to personal investment decisions. 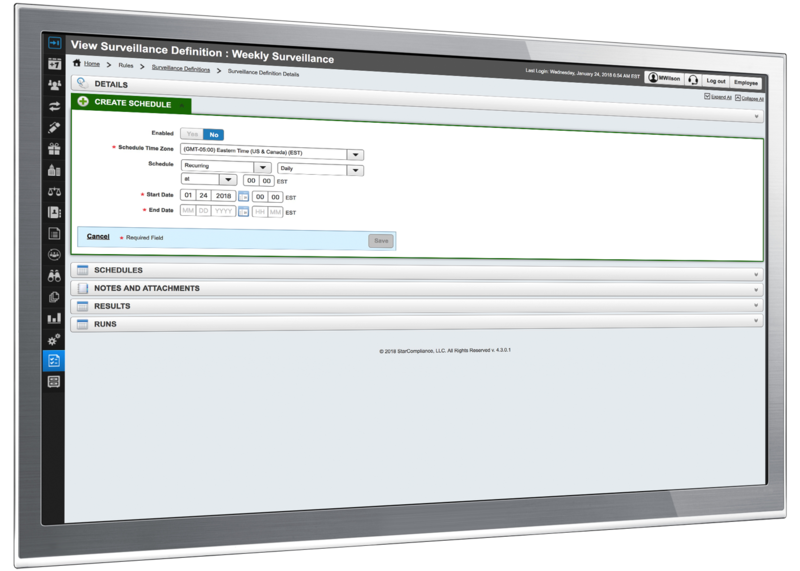 StarCompliance software enables your employees to quickly and easily declare private investments, using fully customisable declaration forms. The STAR platform enables you to automate all of your private investment pre-clearance activities. Employees can use the system to quickly ask permission to make private investments. They simply log in to the web-based application, fill out a pre-clearance request form and await an automated approval or denial decision. Positions can be later updated if changes occur within the private investment. The pre-clearance feature maximises the benefits of STAR’s integration with your company’s HR system, so all details about each employee are taken into account, along with historical trading records, when making decisions about whether a requested trade constitutes a conflict of interest. All approved certificates are stored by the system for future reference, and can be viewed or downloaded by your compliance team at any time. The system can also be used to push out information to employees, such as your latest policies and industry regulations, so that employees can confirm they have read and understood them. It’s a way of demonstrating to regulators that you are taking the necessary steps to keep employees fully informed of essential compliance information and restrictions. The rules applied to personal investment requests by the STAR software are highly configurable. 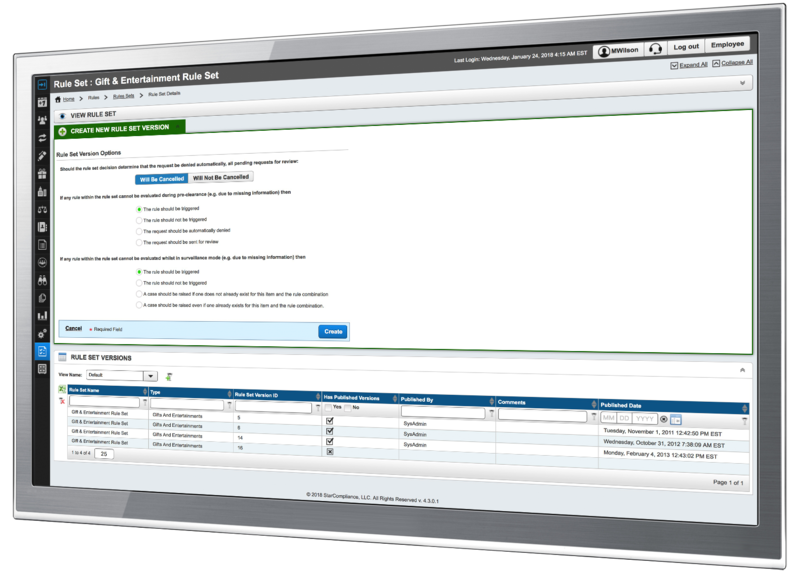 Each request goes through a rules engine programmed with your business’s specific rules and policies. In cases where automated approval or denial is not possible, the system will escalate the request to a multi-level review process, with queries sent out to relevant decision-makers in your business. You can create review triggers to add multiple tiers of review before a request is approved. 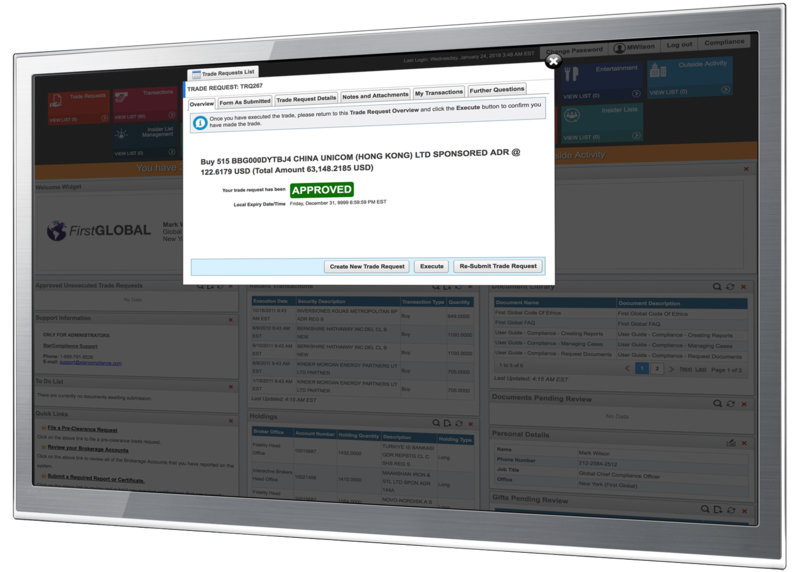 Dynamic controls ensure that reviews are carried out quickly and efficiently. 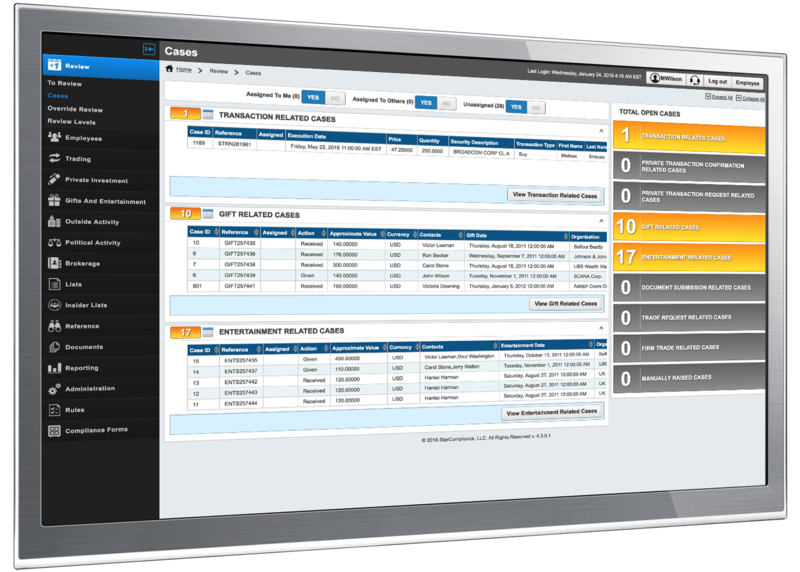 The STAR case-management feature brings together all possible private investments that may require investigation by your compliance team. You can collate data and evidence, add annotations and assign the case to relevant team members for resolution. The whole cycle, from detection through investigation to resolution is recorded on the system for audit purposes, with management reports available to help identify trends and support continuous improvement. The STAR reporting and management information suite gives compliance teams a 360-degree view of all employee behavior and activity. 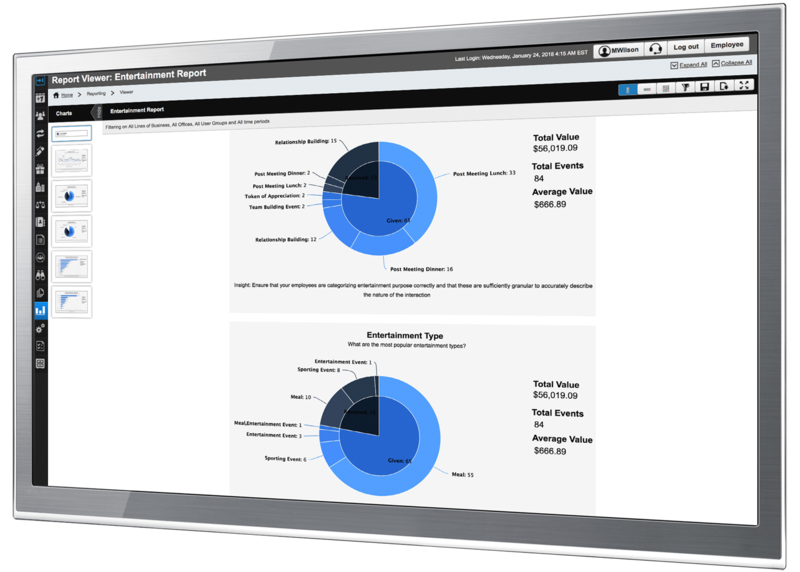 It enables comprehensive and meaningful reports to be generated, which can be fully customized. There are more than 100 standard reports in the system, and you can design many more to suit your requirements. You can choose from a range of intuitive graphs and charts to make the information clear and easy to interpret. If you’re looking for software with robust compliance solutions that will improve business efficiency while safeguarding the integrity and reputation of your organisation, look no further. Schedule a personalised demo with a Star professional to see what the STAR platform can do for you.